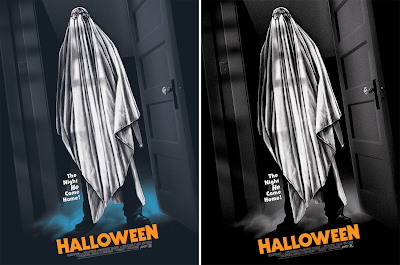 All Hallows' Eve is upon us and what better way to celebrate than with a handful of Halloween movie posters by the ghoulish one, Gary Pullin, and Mondo! 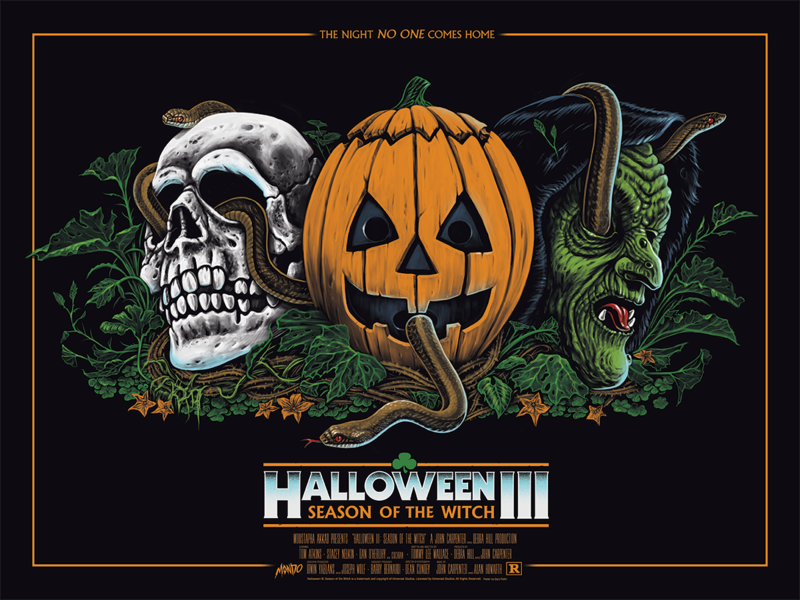 Back in May, Mondo released a poster with Gary for Halloween II, and today they’re releasing posters for the original John Carpenter classic, Halloween, as well as the second - and often overlooked - sequel, Halloween III: Season of the Witch. What a perfect release for Halloween 2017! 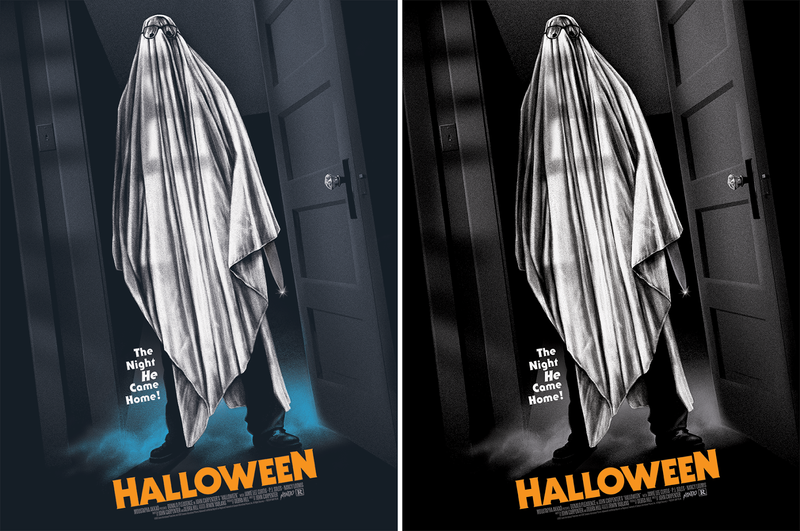 Halloween by Gary Pullin is an 18”x24” hand numbered screen print. The Regular Edition is limited to 250 and will retail for $45, while the Variant is limited to 125 pieces and will retail for $65. Halloween III: Season of the Witch ($45) is a 24”x18” hand numbered screen print limited to 250 pieces. All three prints and so much more will go on sale at a random time today, October 31st, at the Mondo online store.